The golf swing is a very intricate movement of the joints and muscles of the body which happens in a very short period of time. When someone plays well their experience is a very free effortless motion that is devoid of swing thoughts, and happens at a pace that feels as if they are not being rushed to the conclusion. A clinic is group instruction. The classes have 5/1 student to instruction ratio. They are less flexible to the students' needs for time and content than private lessons, while offering meaninful instruction for groups. 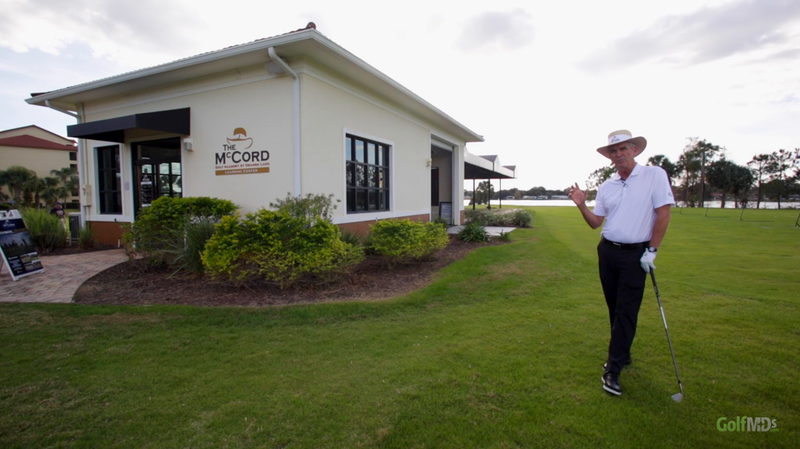 The McCord Golf Academy is proud to offer Stay, Play and Learn Golf Schools at our Orlando Golf School Location at Orange Lake Resort in Kissimmee, Florida. 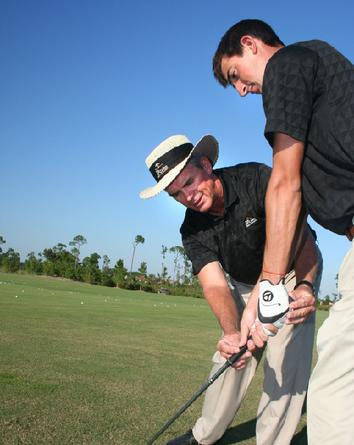 Whether you call Orlando home or just want to come for a visit, we will help you improve your golf game at our state-of-the-art Golf Academy. We specialize in one, two or three day programs for any number of people. Browse below to see our most popular options but keep in mind that anything is possible in terms of number of days, number of people and scheduling. We have the ability to offer multiple instructors for your group and you will not be forced to participate in golf schools with other people. Receive 50% OFF any round of golf with Fitting Lesson or Club Purchase! Orange Lake Golf – the ideal location for junior golf development, and the bottom line is FUN! 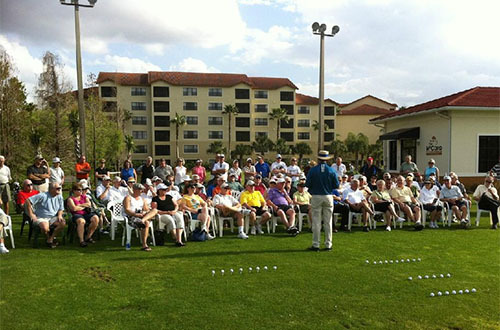 Little Linksters at Orange Lake Resort is a national award winning organization that offers a wide variety of teaching programs for children, from new golfers to tournament players. Little Linksters offers opportunities to test skills and become part of the team and is taught in a fun and interactive way. The bottom line is the Little Linksters Program is FUN! Orange Lake Resort boasts a championship course designed by Arnold Palmer, with two distinct play experiences. 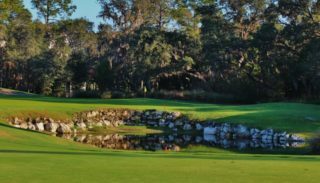 Scottish-style golf is featured on the front nine; while the towering pines, majestic oaks, winding fairways and flowing water on the back nine are reminiscent of the Carolinas. This course has multiple sets of tee boxes to ensure that all skill levels can enjoy a challenging round. The Reserve’s scenic course is also a great for family play. Full day schools consist of three hours of instruction in the morning followed by a lunch break. The afternoon will be a nine hole playing lesson with the instructor followed by optional, back nine on your own. Package cover fees, club rental, balls, and full use of the facility. Lunch and accommodations are not included. Single Day Intensive Schools are five hours in one day and are available by appointment. Through our partnership with Callaway Golf The McCord Golf Academy is pleased to offer our customers significant savings on golf equipment. Save money over big box stores when you purchase directly with us! 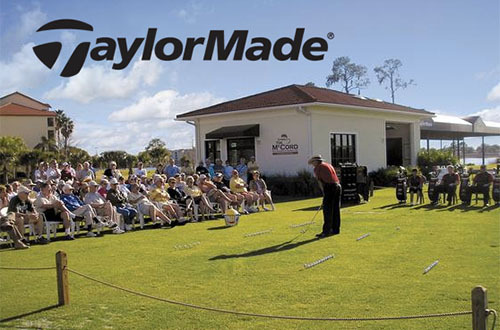 Custom Club-Fitting Lesson: $90 Have your equipment analyzed and fitted to your personal swing tendencies. 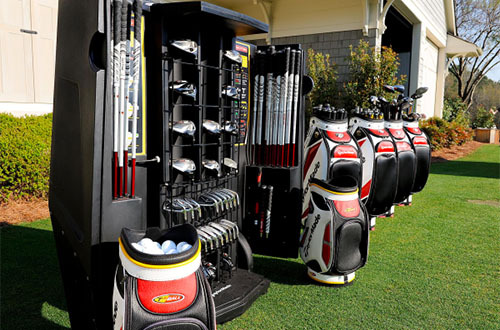 If you purchase 10+ clubs 50% of the fitting fee will go towards your new set! Little Linksters GOALS program, or Golf Outreach Advances Life Skills was originally designed to help make the game more inclusive for children with special needs, ages 3 and up. Children can gain so very much through their participation in our game. We feel strongly that each child deserves the right to take part. We see no labels in golf. Because of this, we have expanded our efforts to make golf inclusive of every child regardless of what labels society at large may put on them. Now available at The McCord Golf Academy. The Little Linksters Golf Academy South was formed in 2018 in partnership with The McCord Golf Academy to help grow the game through junior golf initiatives. Programming at the Academy includes a great mix of fun classes such as our “Mommy & Me” and “Daddy and Me” where parents can join their 3-8-year-old in learning the game. 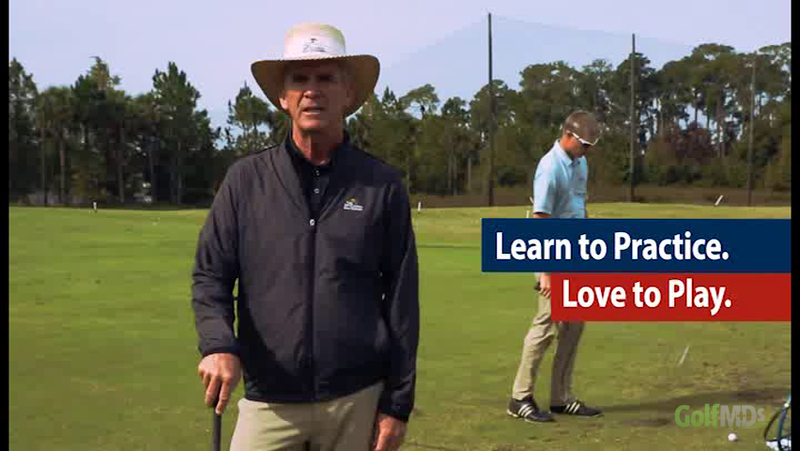 The whole family can learn together as well through our “Get Golf Ready Family Edition.” Check out all the Little Linksters Academy has to offer! © 2016 McCord Golf Academy. All rights reserved.